Get ready for the Other Art Fair 2016! The 11th edition of the fair will be held at the magnificent Victoria House in the heart of Bloomsbury from 7-10th April 2016. The Other Art Fair is the UK’s largest artist-led fair, attracting an audience of art buyers, collectors, journalists and gallerists from across London. It provides a unique platform from which artists can independently showcase their work: to gallerists, curators, critics and collectors. Not only about selling artworks, these four days enable artists to launch their work in the contemporary art world, gauge the public’s response to their pieces and meet fellow artists for potential future collaborations. 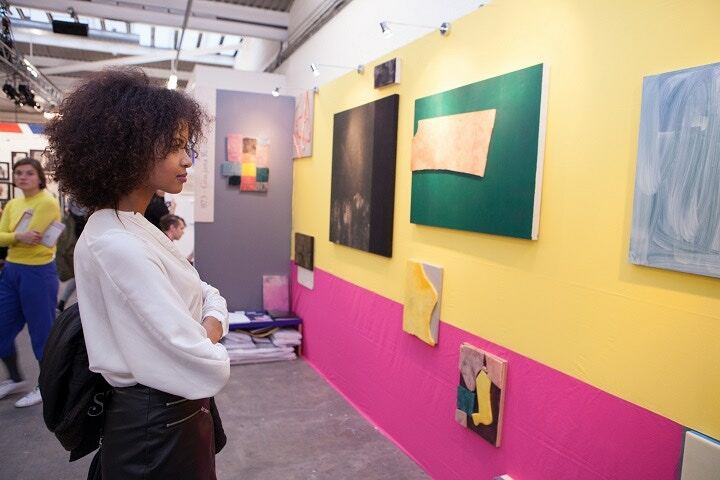 The 10th edition of the fair in October 2015 welcomed over 14,000 visitors and attracted representatives from over 200 leading contemporary galleries and art organisations such as Tate, Blain Southern, Sotheby’s Institute, Rosenfeld Porcini, Gazelli Art House, White Cube, Christie's, Lisson Gallery and Hauser & Wirth. Many artists at the fair have been approached about public and private commissions as well as post-fair sales and gallery collaborations. The call for artists to get involved is out now, visit The Other Art Fair website to apply. Deadline for applications: Friday 15th January 2016. For further information contact Sophie Roberts sophie@theotherartfair.com or call 0203 805 6670.